At Norm Reeves Honda Superstore West Covina, we love going the extra mile for our customers in helping them find their perfect new Honda, or pre-owned vehicle. But, when you need help figuring out exactly which model is right for you and your family, you may want to do a little bit of your own research before visiting us our showroom. That’s why we put together these helpful Honda reviews for drivers in Glendora, El Monte, La Puente looking to dig below the surface and get a better understanding of all their options. These helpful reviews will also discuss available features and upgrades, so you can fully customize your vehicle to exactly how you like it! Have a specific question about a vehicle you’re not seeing? No problem! Our friendly and knowledgeable sales team is here to answer all your questions and are committed to having you drive off in your new vehicle in complete confidence. One of the hardest parts about buying or leasing a vehicle is narrowing down the seemingly endless options and feeling confident you’re making the right decision. These reviews will help you whittle down your list of potential vehicles and empower you with the best information, so when you finally come in for a test drive, you know exactly what you want. 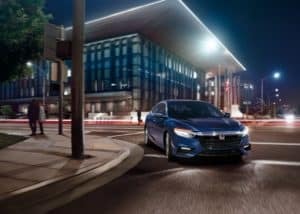 Explore the many Honda models and trims available on this page and what each one specifically offers. When you’re ready, you can take a more up-close-and personal look by scheduling a test drive. 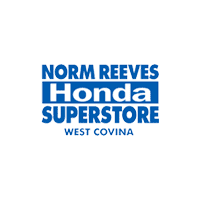 At Norm Reeves Honda Superstore West Covina, we’re here to help drivers in Glendora, El Monte, ad La Puente make the best decision on their next vehicle. If you have any specific questions or want to schedule a test drive, contact us today!